Tired of Being a Landlord? Don't Sell... Delegate! 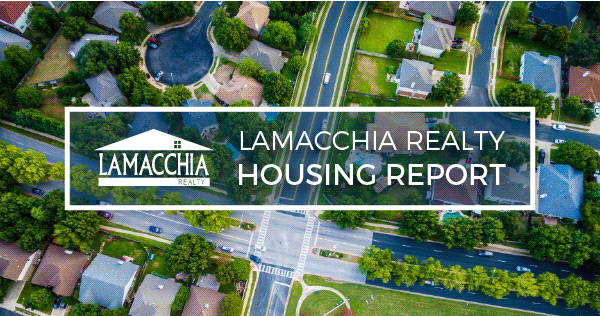 The Lamacchia Housing Report presents overall home sale statistics and highlights the average sale prices for single families, condominiums, and multi-family homes in Massachusetts and Southern New Hampshire for October 2017 compared to October 2016. It also looks at other metrics in Massachusetts like Homes Listed and Pending, as they are often the best indicators for predicting future trends in the market. 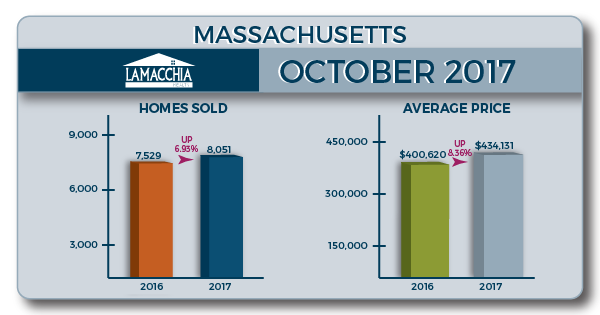 Massachusetts home sales increased almost 7% in October 2017 from October 2016, which at the time showed a decrease of 3% from the year before. Home sales increased slightly for multi-families, and increased more significantly for single families and condos this month compared to October 2016, with multi-families increasing 2.47% (from 730 sold in October 2016 to 748 in 2017). Single families exhibited a greater increase, at 6.39%, from 4,913 to 5,227. Condos had the highest increase of just over 10%, from 1,886 in 2016 to 2,076 this year. This is a positive change from September’s decrease. The average price increased 8.36% overall in October, with single families increasing over 9%, from $432,654 in 2016 to $472,555 this year. Condos exhibited an increase of just under 8% (from $331,504 to $357,713), and multi-families increased in prices as well by 6.74% (from $433,165 to $462,381). 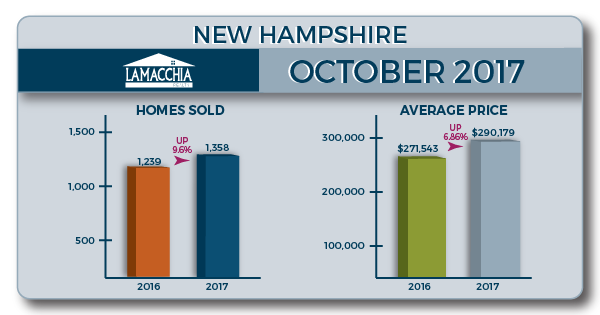 There were 12,858 homes listed for sale in Massachusetts in October 2017 compared to 11,893 in October 2016 which represents an 8.11% increase. Early October had a lot of listing activity and although the pending statistics are up they didn’t all sell. But no doubt there was a period in late September and early October that inventory of homes for sale reached its highest point all year. There were 11,135 homes that went pending in October 2017 according to MLSPIN, compared to 10,661 in October 2016, which represents an increase of almost 4.5%. With both listed and pending sales number up in October, we could see a steady increase in home sales for November. The number of properties sold in Southern New Hampshire rose 9.6%. Multi-families increased by the highest percentage, 48.89%, from 45 in October 2016 to 67 in October 2017. Single families rose 5.31%, from 885 to 932 and condo sales increased by 16.18%, with 309 sales in 2016 rising to 359 in October 2017. The average price for homes in New Hampshire increased by 6.86%, with multi-families increasing by over 20% in price, similar to September this year, from $294,795 to $354,387. Single families and condos exhibited more moderate increases, with singles rising 3.04% (from $299,559 to $308,655) and condos rising 12.53% (from $199,210 to $224,181). Last month, we predicted that sales could increase for October if buyers took advantage of the available inventory, which they did. As trends depict, fall is the best time to buy before November likely brings a drop in inventory. That drop in inventory is beneficial to sellers as buyers begin to compete for the homes listed on the market through the holidays. It’s a misconception that the market freezes in the winter, as homes do sell during the holidays, as explained in our Myth Buster blog. As mentioned in last month’s housing report, listing now is still opportune for sellers, as buyers who are out there now are extremely motivated to close on or before the holidays. If this is something you’re considering, contact one of our expert Realtors and read our blog on the best ways to prepare for selling in the winter.